If your drain is found to have a fault discovered following a CCTV drain survey or a leak we will repair them using either impact moling or the traditional trenching method. We are Checkatrade approved and reliable with all the work we undertake. Additionally, we are Renoline approved installers for drain lining. Amongst the many companies we have done work for are Hampshire County Council, West Berkshire County Council, Surrey County Council and Cleaver Property Management. 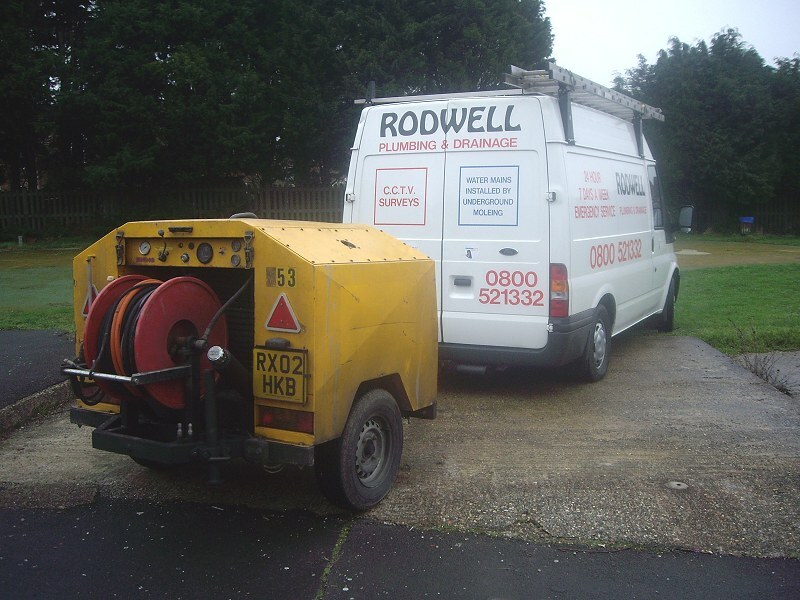 Rodwell Plumbing & Drainage use the latest in high pressure water jetting equipment to quickly and efficiently clean your drainage. This is ideal to clear any blocking, as well as build up from roots or limescale. Bad smell or leak from your drains? Have you noticed a bad smell in your drains? Or perhaps you suspect a leak? This is where CCTV drain surveys are needed. Rodwell Plumbing & Drainage will inspect your drains for blockage and leaks. Rodwell Plumbing & Drainage, based in Basingstoke, are your plumbing and drainage experts for Hampshire, Surrey & Berkshire. Established in 1988 and with over 30 years of experience, we aim to always deliver efficient and excellent service. Specialising in underground Impact Moling, causing you less disruption than traditional trenching methods, please phone or email us for all your plumbing and drainage requirements.